The Conservative Collection reinforces fundamental holdings of the Right. A strong, free, and thriving America requires us to value our founding principles and apply them in a modern world. Yet constant assaults on the very philosophies that birthed American exceptionalism jeopardize our sustained superiority. It, therefore, falls upon Conservatives to reenergize, inform, and strengthen the citizenry with the truths and successes stemming from conservatism. We need a strong America, one which will continue to be the home of liberty and prosperity. 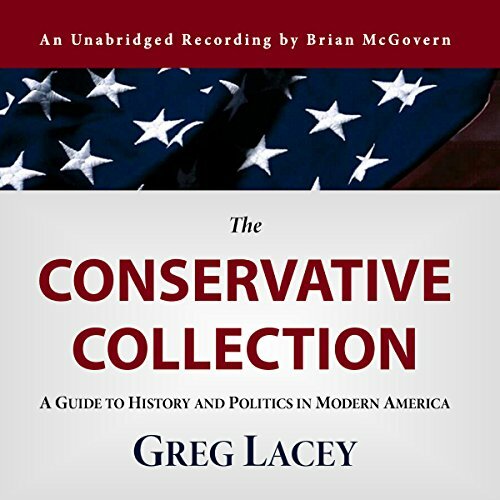 Discussed within The Conservative Collection are 11 areas of conservative concern: Conservative History, Individual Liberty, The Legislature, The Executive, The Judiciary, Economic Strength, Educational Strength, Military Strength, Personal Responsibility, International Leadership, and Moving America Forward. In our unique nation of states, built upon the pillars of liberty and opportunity, we are responsible for protecting the blessings of freedom and ensuring our future welfare; The Conservative Collection looks to aid others in achieving those most noble duties. A series of short essays complete this work, divided between the book’s 11 sections. Not only does The Conservative Collection focus significant attention toward government and politics but also on character development and individual maturity. All Americans (Conservative or otherwise) must be leaders in a turbulent world - something not accomplished without purpose and principle. Greg Lacey is a Michigan attorney and the author of James Madison and the Virginia Resolution. He lives in the metro Detroit area with his wife and their children.